Flying the friendly skies can be stressful. It’s not something most of us do on a regular basis. Packing, regulations, arriving early, TSA checks, safety and security measures increase our stress levels. Bringing your beloved pet aboard a plane comes with its own chaos. Ask yourself, “Do I REALLY need to bring my pet along?” Is it really worth the risk and stress? Last month, there were two significant incidents involving dogs on planes. Ten-year-old German Shepherd Irgo was bound for Kansas, family relocating from Oregon. He ended up in Japan. His family was surprisingly met at the airport by an unknown Great Dane, destined for Japan. Who dropped the ball? 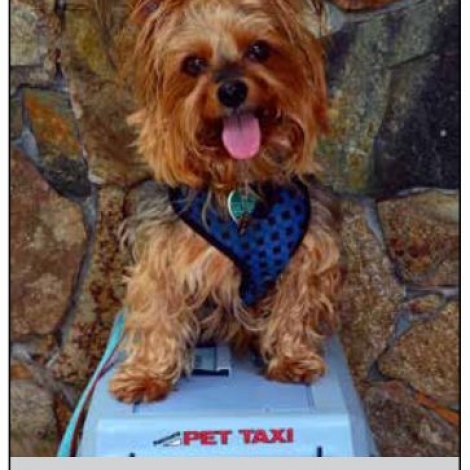 Was his carrier not adequately identified with name, breed, and flight info? After being seen by a vet in Japan and deemed healthy to fly, Irgo was safely returned to Wichita, Kansas. Kokito, a French Bulldog puppy did not survive his flight to New York with his human family. The flight attendant insisted the bag be stowed in the overhead compartment, because it did not fit under the seat. Although passengers said they heard him for over two hours, she claimed she didn’t know a dog was inside. The family said they were unable to check on him due to turbulence. “In 19 years and 7000 flights, serving as a flight attendant, I have had less than 20 people removed/arrested. The majority were intoxicated. A handful were medically required. Removals for noncompliance from aircraft were for threats of violence, excessive physical contact, violence towards other passengers, and smoking onboard,” states Leeanne Hugg, mom to three Australian Shepherds. Flight attendants are there to help you, especially with emergencies or safety-related issues. Large bags on the floor can entrap you during evacuation. 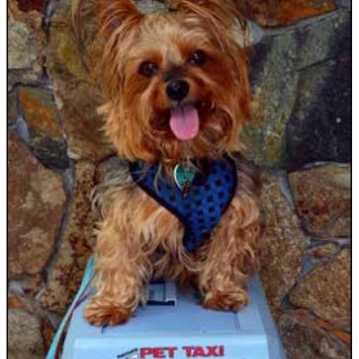 “Pet carriers never go in the overhead bin – a complaint resolution officer would be called to address the issue. The passenger might be accommodated to a window seat without affecting egress or booked on a later flight to allow them to get an approved carrier. “Abiding by crew instructions is a federal regulation. If you have a concern, speak calmly, reasonably, and clearly to the flight crew. If a flight attendant is not understanding your concern, ask for the lead or purser flight attendant. If you are at the gate, ask to speak to the station manager or supervisor. Be professional and courteous. These types of conflicts are easily and quickly resolved, because we don’t want issues onboard. We want to safely get you to your destination, and we all HATE paperwork”, adds Leeanne. “Bottom line, always advocate for your dog. If you are polite and calmly explain what is happening to a flight attendant, you aren’t getting hauled off,” states Leeanne. If your pet MUST accompany you on a flight, abide by each and every regulation, far ahead of the day of travel. Pay the additional fee. Make sure your carrier is compliant (leakproof and fits under a seat). Day of travel: Make sure your pet has ID on his/her collar and on the carrier, and have a copy with the pet’s photo with you. Have vet records and check in at the COUNTER, with the pet in the carrier. Be kind, understanding and courteous. Never remove your pet from the carrier once aboard the plane. And, as a passenger, if you see something is not right, (nicely, calmly) SAY something.